5 Designer Flush Mounts Under $50! Pria from Elegant Lighting is another fabulous find for under 50! Perfect for any style room from traditional to transitional. Pria is available in 3 finishes, Polished Nickel, Nickel and Bronze. It also comes in two sizes, an 8″ small size with one light bulb, and a 12″ medium size with two light bulbs. This is a great choice for a hallway, closet, or small bedroom. The ribbed banding along with the simple and elegant white glass compliment each other perfectly. Pria from Elegant. 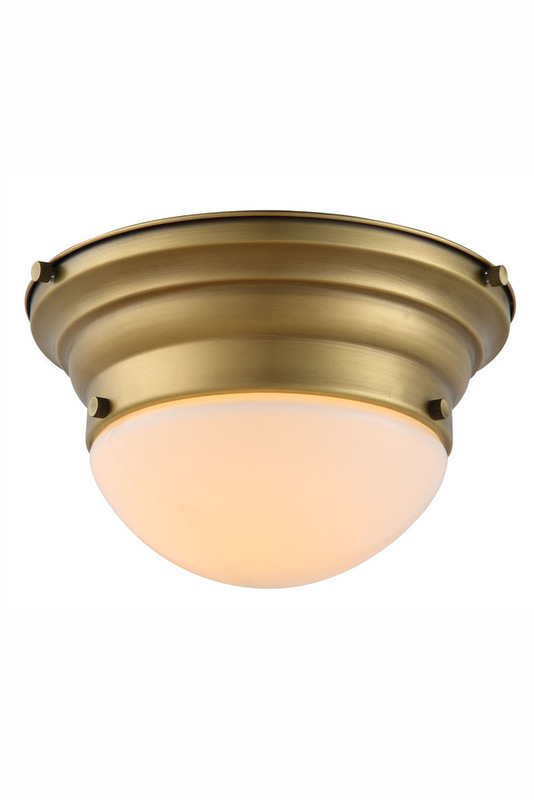 So much style coming from the Mallory flush mounts by Elegant Lighting. This is not your plain old flush mount you see every day. This ceiling light boasts a lot of metal detail packed into a small package. More of a traditional look, the Mallory comes in 3 finishes and 3 sizes. Burnished Brass, Vintage Nickel, and Bronze. The sizes are a 16″ three light, a 13″ two light, and a 10″ one light. Mallory by Elegant.